XADO Oils for manual transmission. Real protect transmissions parts. In manual transmissions special transmission oils are used. They must fit each vehicle by viscosity grade and by performance characteristics. Also such factors are taken into account like welding load and diameter of wear spot. XADO transmission oils are deservedly considered to be one of the best transmission oils in the market. 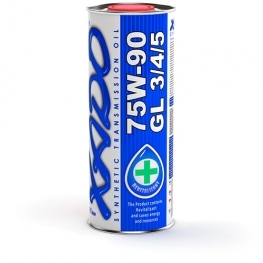 XADO transmission oils contain Revitalizant which protect transmissions parts from wear. The range of transmission oils is quite wide that’s why the reviews and testimonials on their application differ greatly. Synthetic oils have the major part of positive reviews. However more beneficial is to buy mineral transmission oils. 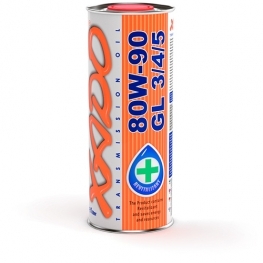 XADO manual transmission oils have a set of additives including anti-scoring ones as well as atomic Revitalizant. Its patented formula guarantees easy and smooth operation and extension of service life of the component. Flawless operation even under low temperatures. Where to buy transmission oils of the best quality at the reasonable price? In our e-store you can find a wide range of transmission oils for manual transmissions. High quality service and with quality products this is what our e-store is!